Red Polka Dot Dress (underneath): Modcloth. sweater of my dreams was sitting there, waiting for me for only $1. 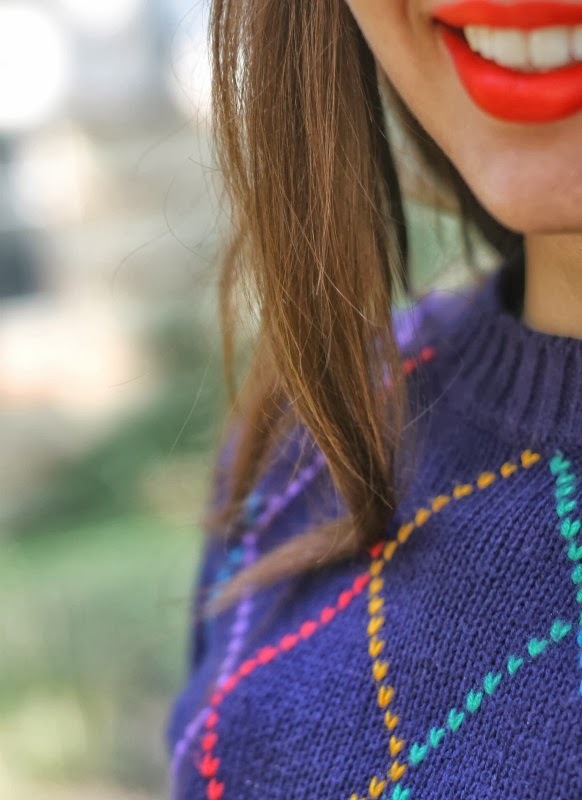 Although it was silly to buy a sweater when the weather was going to only be getting warmer, I knew I would patiently wait for the cool, fall day I could break out my colorful (most likely children's) sweater. Yesterday was the day guys. 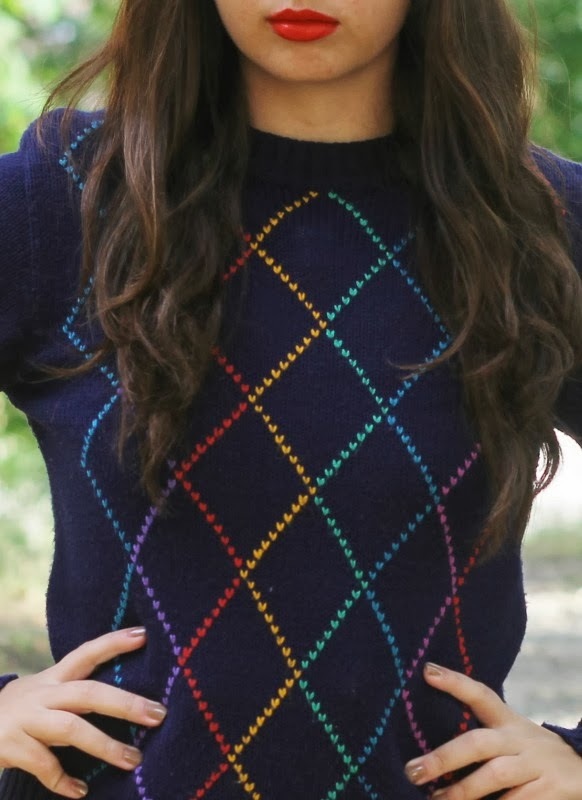 This sweater is awesome! What a great find for only a dollar! It's always so exciting to find awesome things for so cheap. 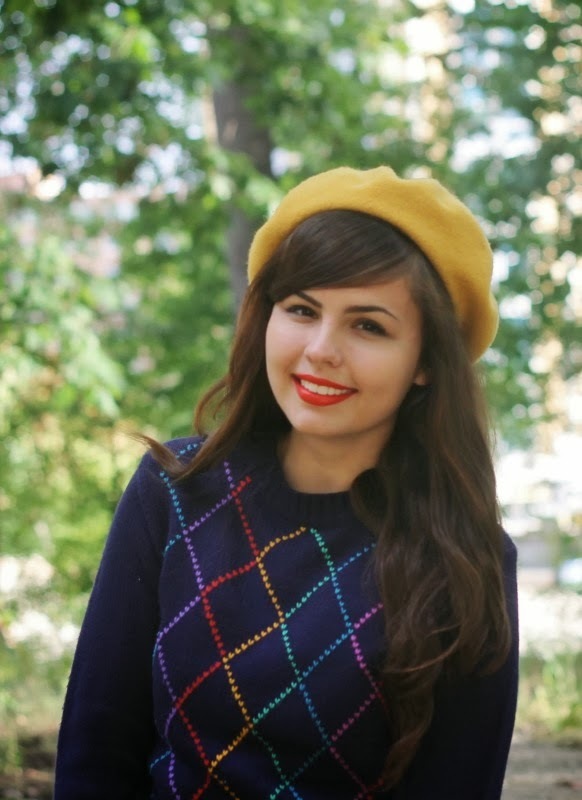 I really think this sweater is ultra super cute. 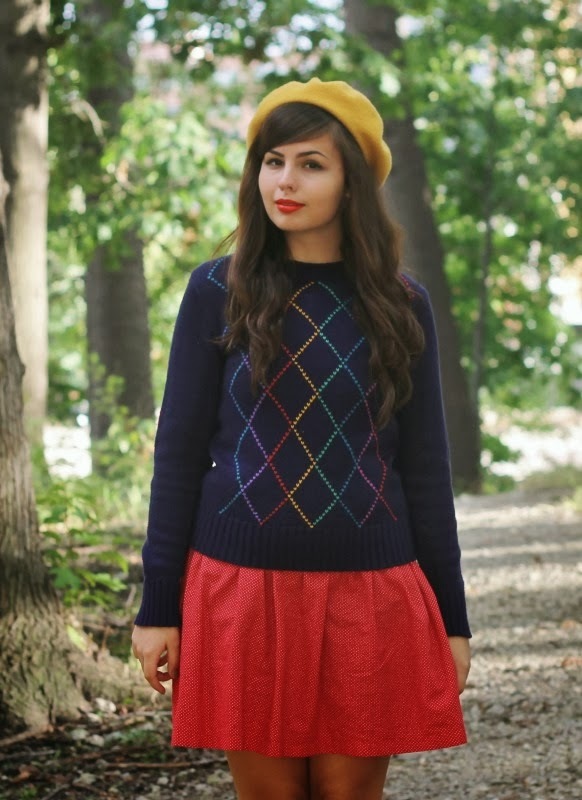 I absolutely love the primary color scheme in this outfit too. You always find the best thrift finds. And only a dollar?! Wow! Love this look!! 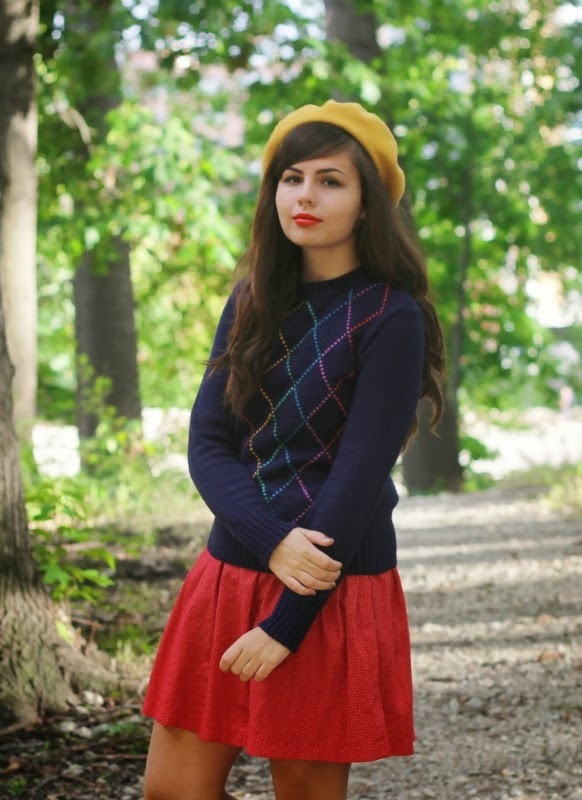 The perfect summer-fall transitional look! I love your sweater and I don't think it's gaudy at all! I also thought I was the only one who called my mom "ma" haha! That sweater is AMAZING. What an amazing find! 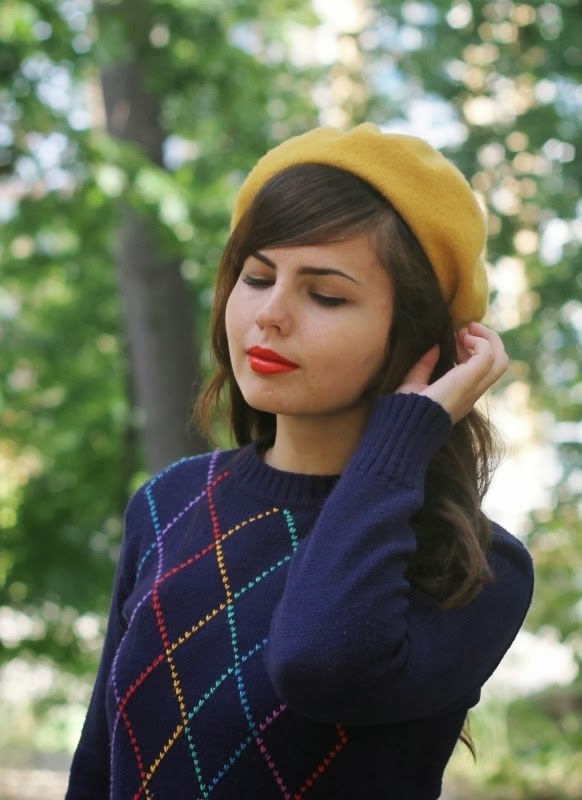 This is such an adorable sweater! You are the cutest.